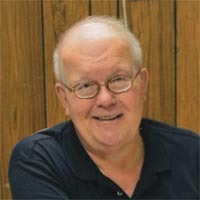 William H. Mason, Ph.D. passed away on Wednesday, March 27, 2019 at his home in Blacksburg, VA. Born on January 19, 1947 to Carroll D. Mason and Virginia Mackie Mason, he was a working Aerospace Engineer and Professor Emeritus in the Aerospace & Ocean Engineering (AOE) Department at Virginia Tech. Bill began his long relationship with Virginia Tech as a student, where he earned his B.S. in 1971, M.S. in 1972, and his Ph.D. in 1975, all in Aerospace Engineering. He worked at Grumman Aerospace Corporation in Bethpage, New York from 1974 – 1989, first in the Structural Mechanics Section and then in the Aerodynamics Section. His final engineering title at Grumman was Technical Specialist, Advance Tactical Aircraft Configuration Aerodynamics and Design. Bill returned to Virginia Tech in 1989 to join the faculty in Aerospace and Ocean Engineering. He taught courses in aircraft design, applied computational aerodynamics, and configuration aerodynamics. He worked closely with both undergraduate and graduate students and was the faculty advisor for the American Institute of Aeronautics and Astronautics (AIAA) – Student Branch. His research interests included Aerospace Systems, Flight Vehicle and Aerodynamic Optimization; Applied Aerodynamics; and Configuration Design for Flight Dynamics Considerations. He was an AIAA Associate Fellow. Bill was Distinguished Visiting Professor at the United States Air Force Academy in Colorado Springs, Colorado during the 2007-2008 academic year, teaching, writing, and collaborating with Russell M. Cummings, Scott A. Morton, and David R. McDaniel toward the publication of Applied Computational Aerodynamics: A Modern Engineering Approach. Bill retired from full time faculty status in 2010 and continued to teach configuration aerodynamics for the AOE department. Bill served the community as a dedicated member of the Blacksburg Breakfast Lions Club. He enjoyed jazz music and traveling through the National Parks. He is survived by his daughters, Carrie Mason Volkman and Lauren Anne Mason; brother, Robert E. Mason; sister, Carol Mason Bland; granddaughter, Felicity I. Volkman; and niece, Leslie P. Dillow. His family will receive friends at an informal celebration of his life on Saturday, April 6, 2019 from 4:00pm to 6:00pm at Blacksburg Fire Station #3 (407 Hubbard St., Blacksburg, VA 24060), near the Virginia Tech Montgomery Executive Airport. The family requests that in lieu of flowers, memorial contributions can be made to the American Institute of Aeronautics and Astronautics at Virginia Tech. Donations may also be made on-line by visiting http://www.givingto.vt.edu. Please note on your check or correspondence that this gift is “in memory of Bill Mason” when mailing tributes or include this note in the Honorary/Memorial Gifts section when making gifts on-line. Arrangements by McCoy Funeral Home, Blacksburg.